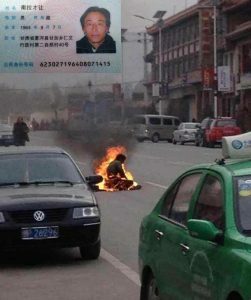 Info: A 49-year old Tibetan man called Namlha Tsering set himself on fire today in the main street of Labrang, Gansu (the Tibetan area of Amdo), which is not far from Labrang monastery. 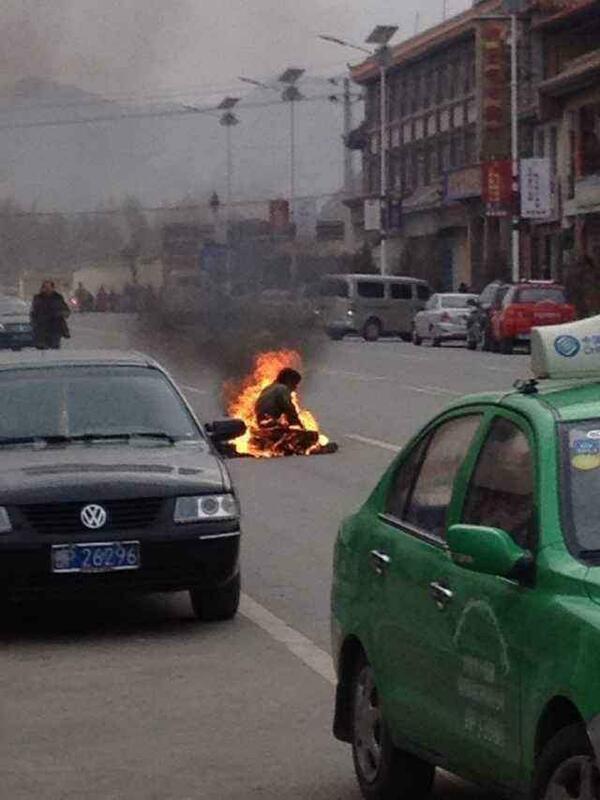 Images emerged showing a man huddled on the road amidst traffic with his body ablaze. 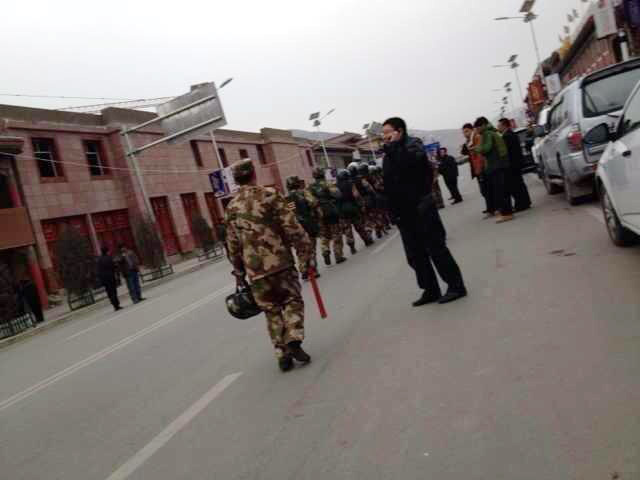 Chinese police and paramilitary arrived quickly on the scene and removed Namlha Tsering. It is not yet known whether he is still alive. For Namlha Tsering, 49 yrs old, who self-immolated on Feb 17 2013 in Labrang, Sangchu region, Amdo. Heard one terrorist leader spoke on TV. And they kill. Tibetan people are under the same situation for over 50 years, yet, like Namlha, carries out their non-violence resistance by a painful way of offering their bodies to fire. I can not paint flame on your body anymore. It makes me cry too much. I can only paint a butter lamp, the light of hope to wish an ultimate path to your peace and freedom on your Land of Snows.